Jaime Martin was for many years among the world’s top solo flute players, performing with the most renowned orchestras of Europe. In just a few years he’s made an impressive transition to become one of the most esteemed conductors in the world, as director of the Gävle Symphony Orchestra as well as musical director of the Santander International Festival. 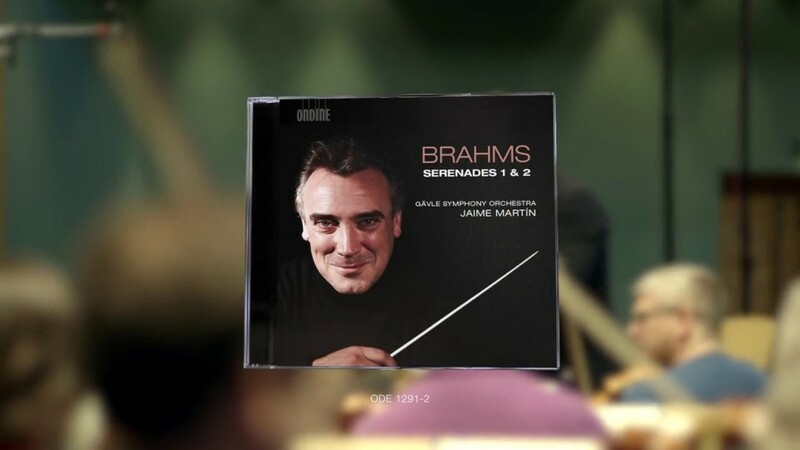 Under the Ondine label he released, earlier this year, a rare recording of Brahms Serenades which was warmly received by audience and critics alike. In an interview with LWR we get to know him a bit better. Sir Neville Marriner once commented on how you were already directing from your chair as a flautist. How was the transition from soloist to conductor a natural step for you? Did you feel the need to transcend your character in the play and become the dramaturge? That’s a fair analogy, it does explain it well (laughs). I can’t say I had the intention of directing always but the role did intrigue me while I was playing in different orchestras, which has been most of my life. I had some training in conducting while studying in The Hague but I was mostly lucky enough to be part of a very nourishing environment with outstanding figures like Paul Verhey, Ton Koopman and Gustav Leonhardt. Back then I was part of the European Union Youth Orchestra under the direction of Claudio Abbado and worked with amazing performers like Brigitte Fassbaender and Jessye Norman. I wasn’t thinking about conducting because I thought the best way of understanding music was from within, by playing it. As I came later to form part of the Academy of Saint Martin in the Fields, I learned from Sir Neville Marriner and then from Daniele Gatti at the Royal Philharmonic. At the Chamber Orchestra of Europe I met Nikolaus Harnoncourt, whose passion for music was one of the greatest influence of my life. So I was lucky enough to be part of these great ensembles with fantastic directors, and that coupled with my curiosity for the role of conductor was a significant influence and preparation for when the opportunity would arise for me. Among your first performances as conductor were conducting the Tenerife Orchestra, a concert for the Royal College of Music and the Cadaqués Orchestra. But when was it that you confirmed you were on the right track? Was there a specific moment you came to the realization that conducting was the next step for you? I was soloist for the London Philharmonic when I started being invited to conduct orchestras, and an agent had offered to represent me too. I was given flexibility to pursue conducting and as I was traveling aboard to do so, the conductors of the London Philharmonic were like professors to me. Among them was Yannick Nézet-Séguin, chief conductor back then, and now conductor at the Philadelphia Orchestra and musical director of the Met. I was invited to conduct the Mendelssohn Reformation Symphony for the Gävle Symphony Orchestra and at the end of the concert I was taking my time in the dressing room before leaving. When I finally opened the door I found the entire orchestra had been waiting, in line, to bid me farewell personally. Shortly after they offered me the position of their chief conductor and that was the moment I realized I must be doing something right (laughs). Is there anything you miss from the days when you were performing as a flute soloist? I miss the involvement, the sound sculpting. As a musician you’re responsible for creating the sound itself with your ideas and dedication. When conducting an orchestra all I can do is suggest a sound, but ultimately it’s the musicians who decide whether they’ll fulfil the suggestions or not, and that’s where the psychological aspect of directing comes into play. It’s one thing to have an idea of how it should sound but it’s another thing entirely knowing how to express that idea and having the orchestra accept it instead of playing as they always have. In this respect, the director is creating a moment but only through suggestion. There’s so much more to conducting than keeping the rhythm. Sculpting the sound and it’s colour, is one the most important aspects and I can only suggest that – I can’t do it myself. The composer Xavier Montsalvatge composed a piece specially for you. What can you tell us about this outstanding contemporary composer from Catalonia? Montsalvatge is a composer with his own distinctive language: three seconds of his music is already enough to recognize him. I’d describe it as Mediterranean impressionism of some sort, very alluring. While I was playing at the Cadaqués Orchestra I maintained a very close relationship with him and when I had the chance of asking him to write me a piece for solo flute and orchestra, I did so on my knees (laughs). I remember it well: we were dining one night at Peralada Festival when I asked him. He figured he was too old, “I’m not sure I can anymore” he said but he did and it was the last piece he ever wrote in fact. He couldn’t come to its first performance but when we did it again in Barcelona he didn’t miss it. You’ve recently released a record for Ondine featuring your orchestra, the Gävle Symphony Orchestra playing the Brahms Serenades. As conductor you’re actively sculpting the sound of the orchestra, so how do you approach the sound you want to achieve on a recording when in the studio? Well, the first hours of the first day are the hardest part. I won’t start recording anything until the sound is exactly what I have in mind and that takes time. I invest the same level of attention to the sound of the orchestra as a whole, as I would my flute. It’s one thing how an orchestra sounds in a concert hall and it’s another how it sounds through speakers on a recording. I could describe myself as a sound hedonist and I won’t stop until I’ve achieved the right sound. The sound we’ve obtained (with producer Ingo Petry) is fantastic and it’s been, without a doubt, one of the factors of its success. The sound of a recording is very important. With the same equipment you produce quite a spectrum of results and the more you get into it the more infinite it becomes and that’s the problem with recordings – you have to decide which takes you’re keeping. Concerts live on in the memory of the audience as a sporadic event but recordings stay with us for much longer – that’s why so much care must be invested in them. So, speaking of memorable recordings, what are some of the records that you treasure the most for their sound? Charles Dutoit recordings for EMI conducting the Montreal Symphony Orchestra and recorded at the Saint Eustache Church with only a few microphones capturing its natural acoustic. The Philips recordings of the mid eighties of Debussy Nocturnes and Jeux. They had a very bright sound that was very impressive back then and still is to this day. 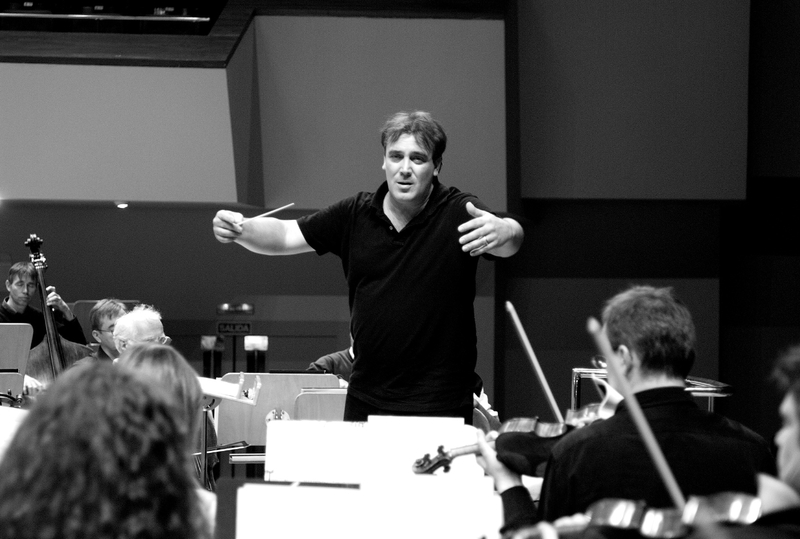 Besides conducting you are also artistic director of the Santander International Festival. This must come with its challenges, so how do you tackle this task? What’s does the festival aspire to under your direction? Well, I’m lucky enough to have a team helping me out with the administrative aspects of the festival. This allows me to focus purely on the music. Being from Santander, I have a certain sense of responsibility with the festival. It was a major influence on my decision to become a musician. I want the audience to enjoy the programme but I would also like them to discover new projects, so we try our best to bring promising talents, both established and new, to the festival. The executive direction of the festival is key, because my job as artistic director is to dream away with the programme and they help me achieve it the best way possible. Lastly, which artists are you looking forward to bringing to festival this year? I’m quite excited about this year. There are a few names and I’m looking forward to seeing their reception. We have the Royal Philharmonic Orchestra under the baton of Charles Dutoit that I mentioned before. We’ll have the Cincinnati Symphony Orchestra, the Academy of Saint Martin in the Fields and the BBC Philharmonic too. Yuja Wang and the Casals Quartet promise great performances too, so if you’ve never been to Santander now you have a good reason to (laughs). Thank you, I might just accept your invitation!